The BCDX Club is pleased to announce ICOM Canada as our primary sponsor for DX2006. The venue for the event was the Hilton Vancouver Metrotown Hotel -- yes this is the same location as the last convention. If you're truly keen about ham radio, you will not want to miss this Convention! 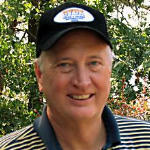 The BCDX Club is pleased to announce that Bob Allphin, K4UEE is confirmed as our keynote speaker. Headlining a terrific line up of presentation speakers, Bob's DX credits are too vast to mention, but the highly successful 3Y0X expedition to Peter One Island is his most recent endeavor. 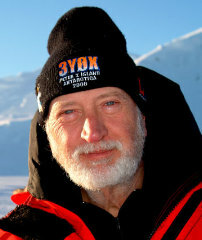 Bob is an engaging speaker and will captivate the audience with his most recent exploits in the Antarctic. If you are an active DX'er or contester, Bob is in your log many times. Why not thank him in person? Bob, K4UEE has visited eighty DXCC entities and operated from forty. He has participated in twenty-five DXpeditions, including six involving "Top 10" DXCC entities, i.e. Howland Island, Heard Island, Bhutan, Kingman Reef, the South Sandwich Islands and South Georgia Island. He has been an operator on three of the top seven DXpeditions with the highest QSO totals. In addition, Bob has the honor of having participated in five "DXpeditions of the Year". Bob is also an active contester and has been involved in twenty-two contest DXpeditions. Six of these efforts resulted in new World Records. Further evidence of this operating skill was his participation as a competitor in the 1996 and 2000 WRTC (the Amateur Radio Olympics of Contesting). The BCDX Club is very excited about the program we're putting together for you and will continue to release details over the next several weeks. Please bookmark our site and check back often to keep up-to-date with the DX2006 Convention plans. Copyright © 2000 -2006 Paul B. Peters, VE7BZ. All rights reserved.